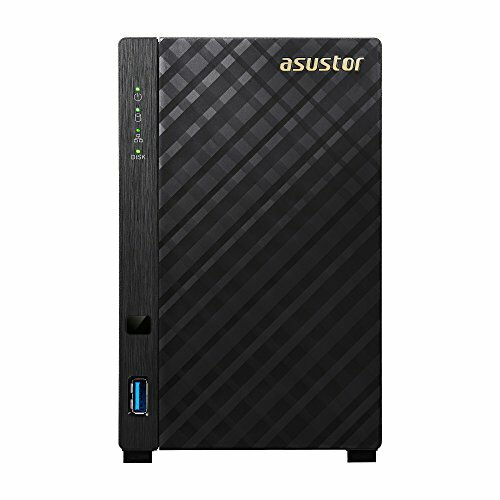 The ASUSTOR AS1002T 2-Bay Personal Cloud NAS features a 1GHz dual-core CPU, offering hardware encryption and AES 256-bit folder-based encryption which secures your valuable data with ease. The AS10 series’ built-in CPU floating-point unit is able to quickly process large amounts of photo thumbnails, allowing you to instantly transfer and browse photos at any time. The rich variety of multimedia server applications are able to smoothly stream high definition multimedia entertainment to devices such as UPnP/DLNA players, Web browsers on computers, tablets and smartphones. The AS1002T is ultra-quiet, energy efficient and offers mobile apps for remote access. With Windows, Mac and Linux cross-platform file sharing, it's ideal for centralized data backup and daily use in the new digital era. If you have any questions about this product by Asustor, contact us by completing and submitting the form below. If you are looking for a specif part number, please include it with your message.